At Capcom Cup 2017, Capcom revealed all 6 fighters that would be coming to Street Fighter V: Arcade Edition for Season 3. 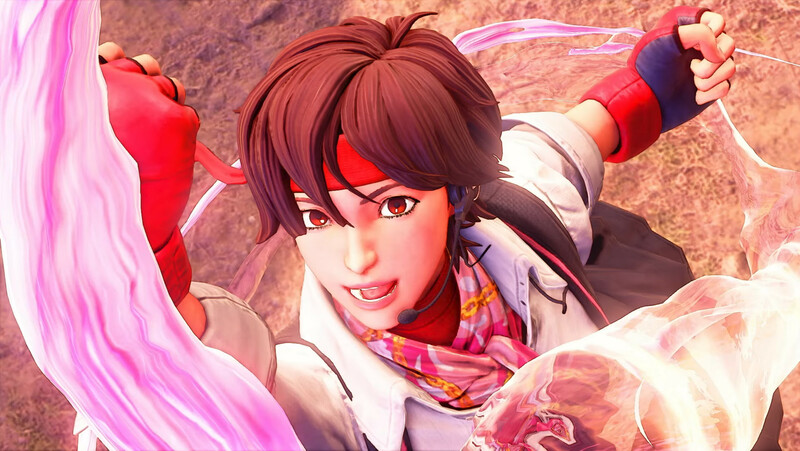 In addition to this news, they released a character trailer for one of the Season 3 characters, Sakura Kasugano. Sakura will be the first character coming out for Season 3 on January 16. 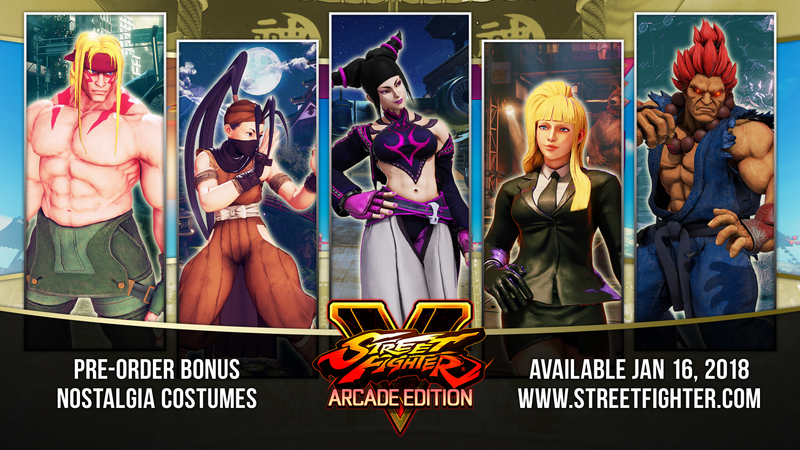 You can check out her trailer as well as the opening cinematic for Street Fighter V: Arcade Edition below. 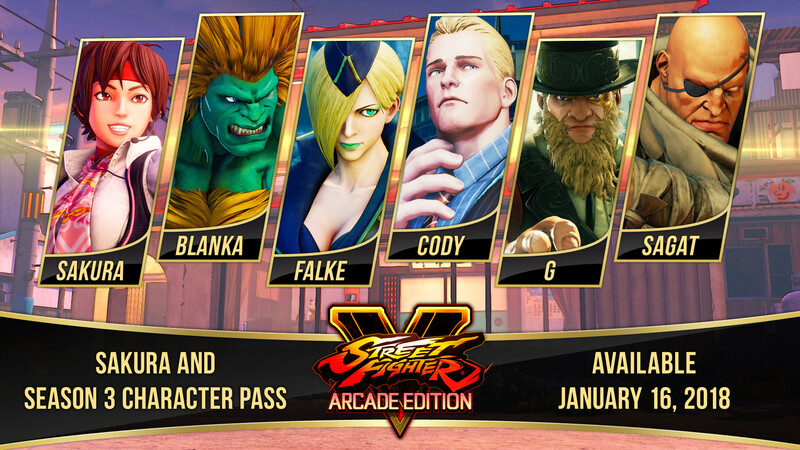 The Season 3 Character Pass will cost $29.99 and will be available alongside Street Fighter V: Arcade Edition on January 16, 2018. Holders of the pass will automatically receive the characters once they release some time in 2018. If you decide to purchase the characters individually with real money, you will also receive the Battle Costume and colors you would have received with the Character Pass. 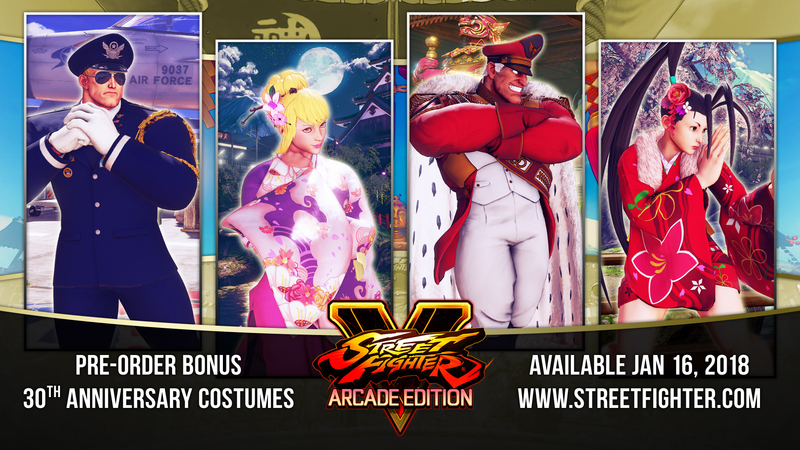 Players who purchase the Season 3 Character Pass between 1/16-1/31 will also receive a set of nine costumes: 30th Anniversary costumes for M. Bison, Guile, Ibuki and Karin and Nostalgia Costumes for Alex, Ibuki, Juri, Kolin, and Akuma. Street Fighter V: Arcade Edition will release on Janurary 16, 2018 for PlayStation 4 and PC.